A very wise brother in Christ told me something that I really needed to hear. First let me tell the reader what happened and the effect it had on me. A few days ago, I created a Facebook group titled “Stop Transgender Indoctrination of our Children.” Within a day the group had over 200 Christians who had joined. Anyone who has been following my articles of late, have most likely seen that this transgender indoctrination of little children has really done me in. I’ve laid in my bed talking to God and asking Him how He could allow this. The little children Lord! How can this happen? “Behold, I send you out as sheep in the midst of wolves. Therefore be wise as serpents and harmless[ as doves” (Matthew 10:16). I loathe George Soros but I’m still aware that our Lord could save even him. If he saved Saul of Tarsus who had slaughtered Christians, yet became Paul, the greatest Evangelist who ever lived – He can certainly save George Soros. We should pray for him. I remain angry at the United Nations and their NWO schemes. But these things are all part of prophecy and they must happen. But I agree with my brother Tony that the time has come for Christians to carefully choose our words if we are speaking on social media. We are very close to being completely silenced, but we must be able to share the Gospel while there is still time. And the only way a person’s heart can be changed is if that person is born again. And the only way that can happen is if the person hears the Gospel of Jesus Christ and believes it and embraces it. Think about the people in your life who need to hear the Gospel. 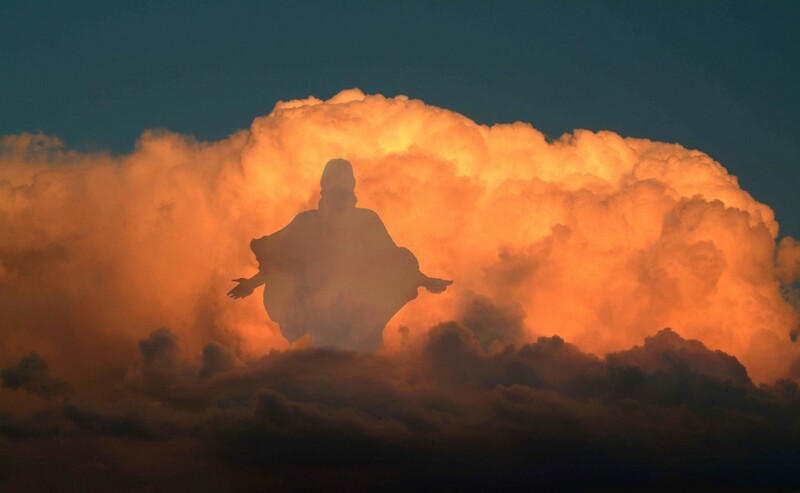 “And Jesus came and spoke to them, saying, “All authority has been given to Me in heaven and on earth. Go therefore and make disciples of all the nations, baptizing them in the name of the Father and of the Son and of the Holy Spirit, teaching them to observe all things that I have commanded you; and lo, I am with you always, even to the end of the age.” Amen” (Matthew 28: 18-20). Oh Father, help me to choose my words wisely as I speak to the lost about You. Help me to be wise and clever but at the same time help me to be harmless and gentle and innocent as a dove. Let me always speak the truth in love so that my words might win many for your Kingdom. I love You Lord. I never want You to be ashamed of me. A long time ago I read or heard something I have never forgot,…we must pick our “battles” wisely in the darkest times of persecution. (It was not worded this way…it was a very long time ago.) In the countries that persecute Believers, Believers alert each other of godless activity be it by the govt. or by the peoples. In this way the Believers pray corporately and apart for things that need to be fought spiritually. They save their out-spoken energy for the most important command Jesus gave us…sharing the Gospel of Jesus Christ. I am not saying America has reached this “point.” But, I do believe it is not too far off. I love your passion…it is mine, too! Yet, if by opening up a Facebook group would get you banned permanently…would the same people not ban this commentary of yours, also?? And then, you would lose the platform to share as you always do…the pure Gospel of Jesus Christ to all who will be led to read your words. I hope this makes sense to the reader. It is something I have been thinking upon. And, Geri, please continue to speak with righteous indignation as the Holy Spirit leads you to do so…He will never lead you wrongly. Believers must be Watchmen and exhort each other. Dear Geri, I watched the video you posted, and was horrified. It is unbelievable that they would do this to children. I tried to join your group. I even saw some of the posts, but today nothing. I’m not too computer savvy. Just figured I had messed up. It is not too surprising they would not allow it. Jesus seems to be the dividing line. God bless you for your efforts. I enjoy your articles immensely. Facebook took down the group, calling it hate speech against transgenders. Get rid of and cease using Facebook. I believe that our presence on FB is still needed. But this experience of being censored for hate speech has opened my eyes to the reality of our situation. For instance, if I had titled the group ” Christians praying for our schools” it would not have sent up red flags to those in authority on FB. But at the same time we could have posted articles and videos about the indoctrination of the children. I’m not saying that we would not have been shut down eventually, but perhaps it would not have happened so quickly. We are now entering a time in America that Christians here have never experienced. I believe that soon the true remnant of believers will have to go “underground” to worship and fellowship. Do you see that it starts with calling us “haters” because we refuse to be politically correct? This is the foundation for the powers that be to begin to label us “haters” and possibly incarcerate us for this perceived hate. If President Trump knows about the indoctrination of our children into believing transgenderism is normal, and he does nothing about this – well, that will be VERY disappointing to me and other believers. Don’t forget in his speeches around election time, he spoke highly of the LGBT movement. Just as the Word prophesies – Evil is spoken of as good, and good as evil. 40.7 Billion. That was Facebook’s 2017 revenue. My point is each time we take part in FB we are generating add revenue for them. That’s how that make the lions share of their monies. I am fully convicted to not take part in any activity on FB or Twitter for that matter. Think about it. We are funding our own demise. Who knows where that money goes to? I can assure you this. it does NOT go to the gospel. There are other means of internet communication for one. Also I would suggest to you this; you need not go more than a few miles from you own home and see lost souls everywhere. Your neighbors need the Gospel too. So maybe some old fashioned building relationships with actual people in our own communities. I’m not telling anyone what to do. I’m only suggesting that use of FB is funding the enemy. That much is a fact. Leave it at that and let God convict each as His will deems. I have many unsaved friends and family (my kids) on FB and I share the Gospel at least once each day. When my kids are in the privacy of their homes and in front of their laptops, who know – maybe they are reading some of the Scriptures. I have a feeling that I will eventually be kicked off of FB and that will be fine. I will continue to write articles (God willing) and hopefully Rapture ready and Jan Markell will still publish what I write. This is all up to the Lord. I don’t come out from under my rock very often. 😀 What is NWO? The New World Order aka the One World Government. May God bless you too! Can’t wait to meet all of you in heaven. Can you imagine when we see Him face to face?